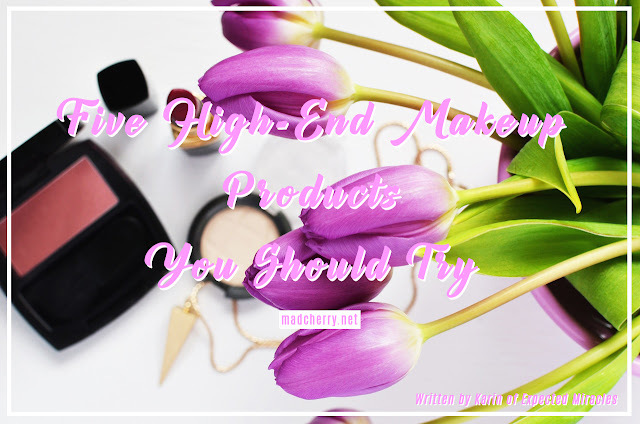 Although drugstore beauty brands are easy on the wallet and can provide a simple look, sometimes there’s nothing better than a high-end beauty product to make you feel a bit more glam. And of course, more often than not, the quality in some of those products just make it worth spending a bit more. I’ve come to love a few high-end products I’ve found from Ulta, one of my favorite stores in the U.S. They have a great selection of items (including drugstore brands, actually) and the staff are helpful, friendly and give great recommendations. I don’t like to use foundation, and this tinted moisturizer by Tarte is the perfect alternative for me and was a game changer in my morning routine. This stuff feels light and airy, like mousse, and provides a light coverage to make skin tone look even. Even though it’s a moisturizer, I put it on after an initial thin layer of regular facial lotion since my skin is very dry. When I first heard about lash primer I thought it was a gimmick for companies to rip more money from my wallet. So I went to Ulta and asked a sales associate. She immediately said she loved the product and showed me her lashes, which were both natural and long, and said she uses this primer by Benefit every day under her mascara and loves it. So I tried it, and the girl was right! This primer is glorious. It glides on nicely and covers each lash. Then adding mascara just amplifies your lashes. I’m very impressed with this product, and it’s my newest high-end brand love. works for both day and evening looks. It applies extremely well and I love the ease of layering a second coat. This is very well worth the $24 price tag. I’m pretty sure everyone who loves makeup has heard and coveted at least one of the four Naked palettes. I’m lucky to have Naked 1-3 and Naked Smokey, and I mix and match between all of them. But my favorite is the Naked 2, which features more colors in the taupe family. When used with eyeshadow primer, these shadows will last all day and are easily transitioned from day to night. My only complaint is I wish the palettes had more matte colors instead of shimmery. which I expect from a company with such a high reputation. It lasts quite a while, too! This product is not found at Ulta, but can be purchased online and at a MAC kiosk at Macy’s. If you’re comfortable spending a little more money than normal, or looking to splurge, I’d highly recommend these! They’re all worth it, especially for a special occasion with friends, family, or your significant other. This post was written by the lovely Karin. Karin is an ordinary woman living in Michigan who loves to write about everything that makes life worth living! She enjoys music, animals, photography,travel, beauty products and meeting new people. Previous ArticleColour Collection Ultimate Wear Lipstick In Catwalk / Rad Or Bad?